Try typing “proxy” on Google, and you’ll get many results, go through some of them, and you’ll quickly get the grasp of the basics, but things go south once you start looking for more detailed approaches, like the Rotating Residential Proxies & (Reverse) Backconnect Proxies. What adds insult to injury is that every article is claiming to give full info, but once you go through one of them to the end, you find yourself with even more confusing concepts. 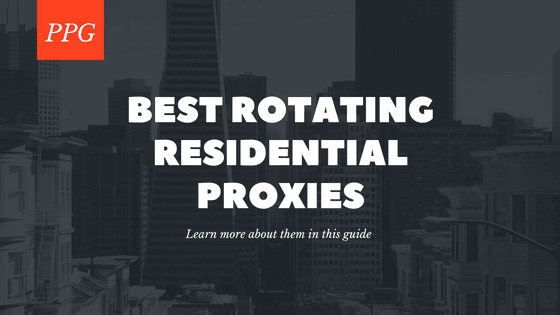 We’ve been there, and that’s why we decided to do the heavy lifting for you and write this detailed guide, which you can use as a reference for all your knowledge needs when it comes to Rotating Residential and Reverse Backconnect proxies. No flowery vocabulary, no complicated concepts, just everything you need to know. What are Rotating Residential Proxies? Why are Rotating proxies better than static proxies? What are the advantages of a Backconnect proxy? What are the drawbacks of Backconnect proxies? What’s the difference between Backconnect and rotating residential proxies? What are Reverse Backconnect proxies? Why do websites use reverse Backconnect proxies? What are the advantages of reverse Backconnect proxies? Are reverse Backconnect proxies enough to protect websites from malicious attacks? Are there any disadvantages to reverse Backconnect proxies? What to look for when choosing a Backconnect proxy? A huge amount of available IP addresses. Very fast connection speed — in most cases it won’t limit your connection speed at all. Absolutely virgin IP addresses — no one used them before you. Session control via the dashboard. Ultimate performance — you’ll get the lowest latency and fastest speed. Servers available in different countries. Don’t forget to read my Smartproxy review. 99,9% uptime — most probably you will never face any issues. Collects data from around the world. You can send multiple requests at the same time — the IP address is never blocked. Works through the Hola network — it allows you to use millions of servers and addresses. There are 223 countries, 26,846 cities, 11,748 ASNs, 592 mobile ASNs available at the moment. Fast service and integration through an advanced proxy manager, which also provides a smooth start. Checks the integrity of advertising. This also helps to avoid backlinks and false advertising. Full support for almost any type of device, both mobile and web. The cost is quite high since there is a fee charged for each GB of data used. This service is more useful for developers than regular users. Don’t forget to read my Luminati review. Super speed of 1 Gbps with unlimited bandwidth. The provided IP addresses are real, not fake. Backconnect proxy servers use various proxy servers such as HTTPS, HTTP, Socks4, and Socks5. They provide more than 26 million IP addresses and work rapidly. They also help change the IP address every 5 minutes so that the user is protected and hidden. Sometimes, users are given an IP address for each city around the world. Proxy servers are given a new unique IP address every 5 minutes. In one package, the user gets a specific amount of ports. All orders are processed automatically within several minutes. They are compatible with all the software on the market and help you connect to any type of websites. There are various pricing plans with 25, 50, 100, 250, 500, 1000, 2000, 3000, 4000, and 5000 proxies included. They are an ideal choice for data mining and scraping. The proxy location can be easily selected from the control panel. The location can also be selected using the API. There are only big packages available. Own network for better security and performance. This means that they do not depend on third parties — everything works perfectly all the time. Each new search engine request creates a new IP for continuous anonymity. The simple and convenient control panel that provides real-time access to all statistics via simple API. All IP addresses and servers are well tested for optimal performance. IP rotation provides a new address for each Internet session. Unlimited bandwidth and fast connection speed limited by your Internet service provider. Round day support via TeamViewer. Cannot select the location of a specific city. The servers do not support SOCKS. No unlimited plans, high prices. Built-in IP rotation which provides high performance and wide opportunities for all types of business activities. This helps users send any number of parallel requests through their IP addresses, which are verified and work consistently, without the risk to be blocked. Residential IP addresses are clean and never blocked. This is possible due to a combination of IP addresses and proxy masking. This is especially useful for conducting all types of research and access to new markets. Transaction flows can be easily monitored. There are about 199 geographic locations, including Canada, USA, Mexico, Argentina, Colombia, Brazil, Germany, Thailand, etc. It provides the best service for proxy servers working within multiple countries. GeoSurf is very programmer friendly, as examples of its code are provided for the API in all of the supported programming languages. Convenient dashboard to monitor all the statistics. Unrestricted access is available through a pool of IP addresses with various plans, connections, and streams in almost all countries in the world. A bit overpriced — the basic plan starts from $300. A limited amount of traffic — it’s not the best choice for those who need unlimited traffic. Unlimited bandwidth and fast connection speed. No doubt, you will never face a high latency. Affordable prices. All the plans depend on the type of proxy used with residential proxies being based on the given amount of ports. Real IP addresses. No website will detect you as a proxy. Instant access. You get your proxies immediately after payment. Very limited payment options — the company accepts only PayPal. A limited number of locations. A variety of pricing options: you can select from Entry, Advanced, Pro, Enterprise, and Corporate plans. Free trial for each product and plan. You will pay only after you like the service. More than 30 million IP proxies owned by real Internet service providers in almost every country in the world. All the addresses are white and clear, so they will never be banned or blocked. Absolute anonymity and session control. The residential proxies are compatible with any scraping bots. All the plans are based on traffic usage. Millions of available IP addresses make the company one of the largest proxy networks in the world. Enjoy unlimited power. Locations in almost every city in the world. The company does its best to offer as much diversity as possible. The pool consists of proxies from around the globe. Unlimited bandwidth. Use a proxy without having to think about any bandwidth limits. All the plans do not have any bandwidth limit. Highest anonymity. The company uses the newest and most advanced technologies available in the world. These proxies are absolutely anonymous. Amazing support ready to help in any situation. Below is a comparison table of the above residential proxy providers. Long story short, a proxy is a web server or a machine through which you can tunnel your connection so you can access restricted websites or perform specific actions that you cannot usually do. It’s basically a middleman and Cloaker between a client and a server. In ordinary cases, to access a website, your machine sends a request that gets through your router, to the neighboring router, to the ISP server, to the actual server, and the same happens in reverse order for the server’s client. Beware though as proxies may protect you from script kiddies, but they won’t prove useful against powerful law enforcement agencies like the FBA. There are two types of proxies; the standard ones, both dedicated and shared, and the Rotating Residential proxies or Backconnect Proxies. The first type is easy to understand and simple to use, but the latter is more advanced, and you need some research to get the grasp of them. While regular residential proxies use one IP to mask your identity and ensure anonymity, a rotating or a Backconnect proxy relies on an entire pool of proxies, switching between them either periodically or randomly, thus better protecting your privacy. Your connection and IP change with every action you take, which prevents data footprints, and ensures extra security. Every request you submit will be processed as a new connection, and they don’t end at Z. This network consists of multiple machines and configurations. You get a swarm of proxies. The more you pay, the more proxies you get in your pool. Basically, a Backconnect proxy is a network of proxies where each one of them has normal configurations, advantages, and drawbacks. In other words, a Backconnect proxy is as good as the proxies of which it consists. Let’s illustrate the advantage of a rotating proxy through an example. Picture this: You’re trying to get a date with a girl, let’s call her A, so you ask a mutual friend, B, to mention you in front of her. What would happen if only B kept mentioning you repeatedly? You guessed it right, A would be suspicious, and she’ll know right away that you’re trying to set her up. Now, what would happen if several friends, say from C to Z, mentioned you at different times? Better, right? The same concept goes for proxies. If you keep sending requests through the same IP, it would quickly get flagged, and you’ll be rapidly banned from accessing the server. On the other hand, accessing the server through different IPs won’t raise red flags, and it would seem natural since the server will process it as if many users were using the server. These proxies can generate a high number of search requests. Websites like Google allow a limited number of requests from the same IP every minute, and you can get banned if you abuse the rate you’re given. When you use a Backconnect proxy, you’re not limited to a specific number as you’ll be using a significant amount of IPs and connections that change with every action you take. Your identity is firmly hidden as you’re periodically changing your connection. As soon as someone gets close to uncovering your private data, your connection changes and they’ll have to start from zero. These proxies are perfect for data scraping and different SEO tools as you have higher rates per minute, even unlimited sometimes, for services like Scrapebox, Zenno Poster, Xrumer, etc. As you know, data scraping is an essential part of internet marketing, and it’s important to have different IPs while performing various tasks in multiple threads. You’ll get a broader range of locations to connect from. A lower ban-rate, as each request is generated from a different IP. Extra security, as you’ll be rotating over a significant number of IPs. Static IPs, on the other hand, are easily discoverable and some websites can detect them as soon as you’re in. Easier to use as you’ll only have to set them once, no need to place hundreds of regular proxies to get a lot of connections and search requests. Getting a massive number of IPs and locations isn’t always good, as you’ll encounter instances when the connection is too slow to operate on, and that’ll force you to reconnect. These proxies aren’t convenient if you want to generate your connection from a specific area, as these proxies create connections from different locations unless you’re using a provider that offers geo-located Backconnect proxies. Rotating residential proxies and Backconnect proxies are two names for the same thing. They both represent a proxy that switches IPs and connections with every action you make. While regular proxies are used by you, or me, or any web browser, to hide our identities while trying to access websites, reverse proxies work the other way around and are used by sites themselves. Reverse proxies aren’t practical for you as an individual, nor for data scraping and such activities. They are used by websites and administrators to cover their tracks. When a site uses a reverse proxy, that proxy acts as the server, so when you connect to that website, you see the proxy server, not the actual web server. In most cases, websites use Backconnect proxies to protect their identities and cover their tracks, to secure their content and resources. When hackers try to access a website, they usually do it by sending out fake packets of data. You’ve probably heard about DDOS attacks. Those are an example of counterfeit data packets used to breach websites. How do they work? Enough number of data packets and a site gets flooded with phony traffic, which results in an overload for the servers, and the website becomes unavailable for ordinary users. Administrators don’t like it when their sites are down, as that’s when they’re most vulnerable. Other hackers try to steal private information stored in databases, and websites’ security can prove useless against such attacks in some cases. That’s when Backconnect proxies come into play, to hide the server’s private info while displaying the data of the proxy server. They protect their identity the same way you would do when using a Backconnect proxy. A common misunderstanding here is when people think that their identities are hidden if a website is using a reverse Backconnect proxy. They aren’t, only the site’s data is private. Users cannot access the website’s data and structure, which is private and hidden. Instead, only the proxy’s data can be obtained. Reverse Backconnect proxies release the stress of DDoS attacks as it redirects every request through a different tunnel, which reduces the chance of overloading the server. Reverse proxies are efficient for web acceleration, as they can provide dynamic data to different clients at once thus making them virtual caches for your content. Reverse proxies reduce server stress, which optimizes data compression and ensures faster loading even when many users are sending different requests at once. IP Swarms allow your users to browse your website faster and lighter. All in all, reverse Backconnect proxies have many advantages that can drastically enhance a website both on the security and the user experience level. It depends on how many security measures are deployed besides the proxy, as it cannot protect an entire website on its own. Hackers are evolving every day, and it’s all a matter of who has more resources. Having a proxy in place can significantly enhance the security of your website, but you need to set other measures in place to ensure the optimum protection for your servers and your private information. In other words, your website’s infrastructure needs to be optimized for security both on the hardware and software levels if you want to get the most out of your reverse Backconnect proxy connection. Standard Backconnect proxies’ cons apply for reverse ones as well, but for the server side instead of the user’s. When you want to buy a Backconnect proxy, you need to pay special care for details. Carefully go through the prices, packages, offers, security, proxy quality, and customer service level, especially if you’re planning to establish a long-term relationship. As a final note, make sure the provider you’re dealing with has residential IPs, not data centers ones, as they seem more natural. Many websites like Nike and Adidas block data center connections these days. The difference between the two is that residential proxies come from Internet Service Providers’ servers, for that they seem like any home IP, while data center proxies aren’t related to ISPs and are easily flagged. Choosing the right proxy for your needs can be a daunting task. The quality of the service you’re getting will determine the security level and how protected is your private data. A Backconnect proxy is an excellent way to add an extra layer of security to your internet browsing, or to your website, as it has some exceptional properties that make it stand from other proxy types. The increased anonymity, periodic IP switching and higher number of server requests are just to name some. Before diving into this industry and buying a proxy, make sure you go through this guide several times to understand the main concepts and ensure an optimal experience. Once you make up your mind and you’re one hundred percent sure that rotating or reverse Backconnect proxies fit your need, you need to find a reputable seller. As mentioned above, the quality of the proxy you’re getting depends on the provider, so go only with reputable and well-established ones. If you want to cut to the chase and get a provider recommendation, we vouch for SmartProxy.io. They’ve been providing quality proxies for quite some time now, and they’re a well-established name in this industry. Go check them out, we’re sure their services are going to fit your needs. If you have any question regarding the proxies mentioned above, do not hesitate to ask them. Would recommend giving a try with Smartproxy. It’s also a rotating Residential Proxies and Backconnect Proxy. Using it to buy sneaker.. does a job great.